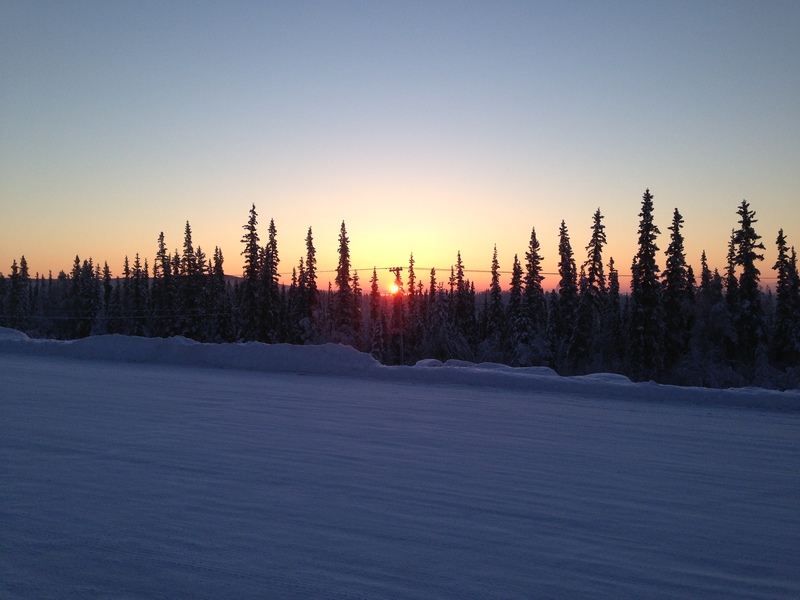 Fairbanks is up to 10 hours of brilliant sunlight a day and climbing upwards toward that time of year when the sun never seems to set. In the meantime, we are already in that anxious to get moving attitude. Here is a line-up of some of the many local options for things that locals like to do. If you are a dog fan, this is your month! 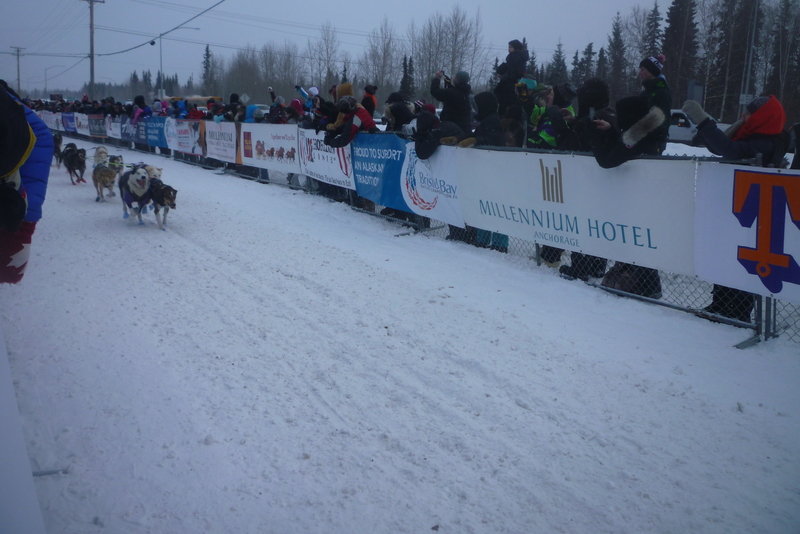 Whether you enjoy mushing, skijoring, or watching either, races abound. Trial runs for the Limited North American the first weekend, then the Open North American the following weekend at the Dog Musher’s Field on Farmer’s Loop Road. Do you enjoy exploring Native culture? Festival of Native Arts provides many dance groups from around the state, as well as one of the best selections of native crafts brought to directly from the bush. Visit the Davis Concert Hall this weekend at the University of Alaska. Still looking to see the Northern Lights? If the skies clear, this can be a great month. If not, you can visit the downtown Two Street Gallery for local artists renditions of what the lights look like from an artistic perspective is. Visit the George Horner Ice Park with ice sculptures and ice slides on Phillips Field Road from now until the end of March. You definitely don’t have to look far to find a wide variety of things to do in Fairbanks! We often get asked what it’s like in the winter. Particularly this time of year, there is concern over the lack of light. Questions like how do you stand it being dark all day? Does the sun come up? What do you do? If you can’t see, how can you drive anywhere? Here are different views of the setting sun and rising moon from the same location at 3 in the afternoon. Alaska is a land of extremes, and this excess is truly loved. We revel in the seemingly endless days of summer sun, and are awed by the long, long nights of northern lights. Summers seem to compel us to excess of activity, and the winter drives us inside to seek warmth, with perhaps the opposite effect, slowing us down somewhat. As we move slowly toward more than just our limited three hours and forty minutes of actual sunrise to sunset, more and more visitors come to view the lights—the aurora borealis, that mystical, ethereal appearance in the sky that either spans the sky expansively, or evades illusively, coming and going as though through some whimsical algorithm. If you are planning a visit, please ‘view the best spots to see the Northern Lights‘, our printable aurora fact sheet, and visit our blog for more Alaska and aurora facts. Now that the trails are filled with Iditarod mushers on the way to Nome, and the Great North American is just around the corner, Alaskans reach with gusto to enjoy the final stretch of winter. With all the great races in March, there are additional attractions on the more leisurely side. 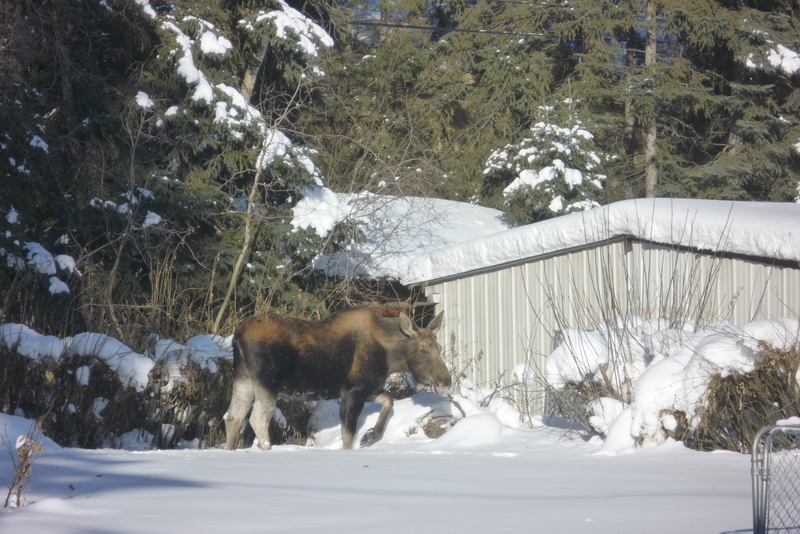 In this case, the occasional meandering moose that wander through the neighborhood, or even stop on the street to munch on branches. How about great sunrises and sunsets? 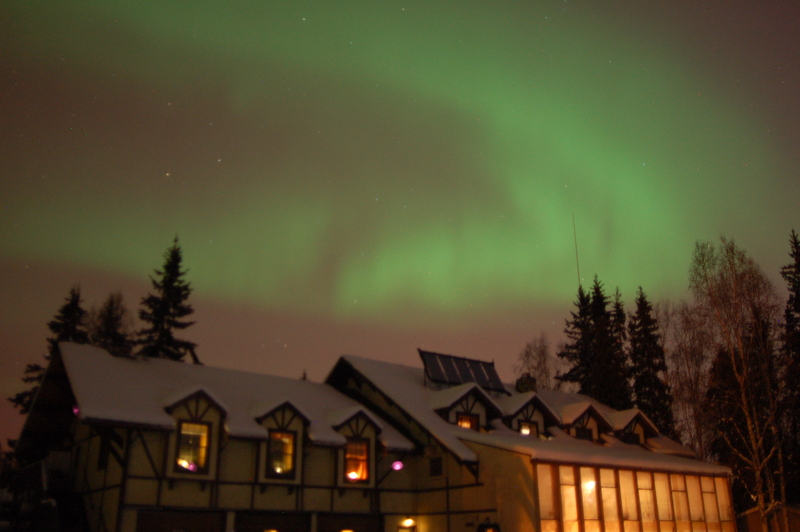 Better yet, many visitors set their sights on the northern lights. Whichever kind of activity you choose this month, they are all here in our backyard, waiting for your visit. And while it may be cold right now, we offer a warm welcome to you as you come to enjoy our wild, and not so wild attractions.